I am filled to the brim with salsa verde and once again craving a margarita but unless I plan on working out oh about 8 hours, I think I can get past the craving and go on to my cilantro pesto obsession. 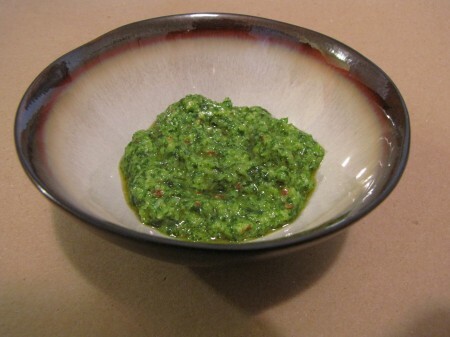 For one, I love pesto of most sorts-with pine nuts, almonds, walnuts, cheese/no cheese, sun-dried tomatoes, basil, parsley, or a combination of herbs, spicy/not spicy-you get it. I’ve created several combinations and found that they are great on rice, any kind of rice really. I love them spread on paninis/sandwiches, soups, roasted potatoes, layered in casseroles and lasagnas and so on. This recipe is a creation of my own and I have included several ingredients for variations that I think you will like. 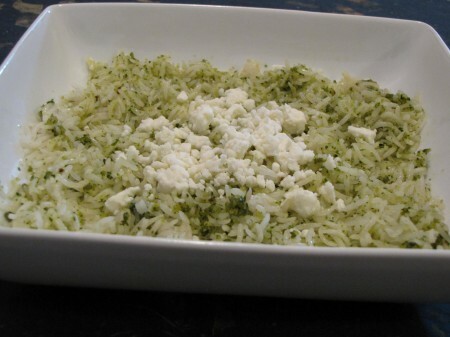 My favorite nut to use is the walnut with a combination of sun-dried tomatoes, cilantro and the other ingredients on top of basmati rice and topped with crumbled feta….my all-time favorite rice dish. 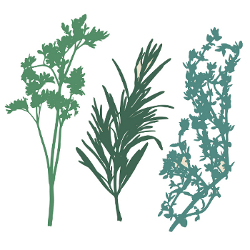 Of course, you can place basil or flat-leaf parsley in place of the cilantro but it’s cilantro week. In a food processor, chop all ingredients together except the olive oil. Then, add salt/pepper and olive oil directly in processor. I find it messy to pour it in the hole at the top of the processor for this recipe and don’t see a difference by just adding it directly. Chop a bit more until everything is combined. In a food processor, chop first 4 ingredients and half of the lime juice or red wine vinegar until blended. Then, add remaining lime juice or red wine vinegar and salt/pepper and chop again until combined. 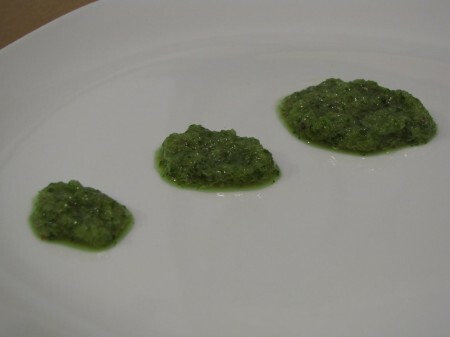 * I intend to use both the cilantro pesto and aji sauce in other recipes this week so keep an eye out.